I remember talking to someone about great Rioja seminar I attended, and I remember being asked “why did you go to that Rioja seminar, don’t you already know everything you need about Rioja?”. I only raised my eyebrow. 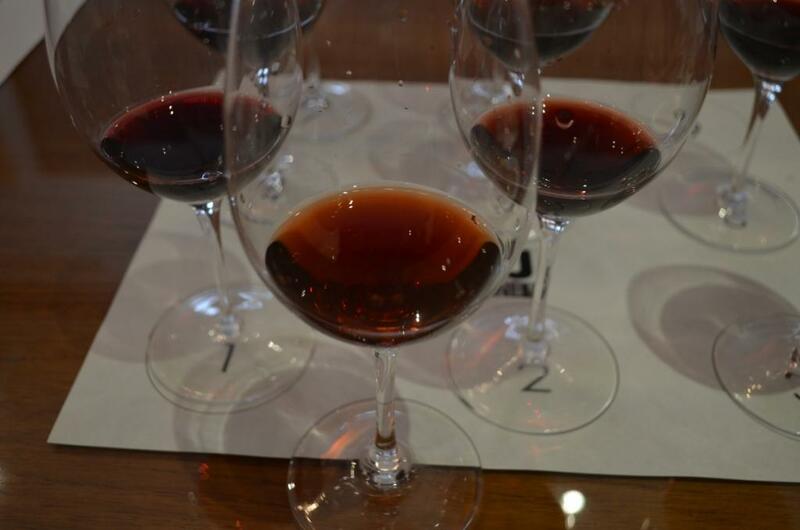 Yes, I make no secret that Rioja is one of my all time favorite wines (I’m sure you noticed if you read this blog for a while) – but there is always so much to learn around wine, you can never pass the educational opportunity. Especially when this is the seminar at PJ Wine store, where wine education always includes a glass (or two, or more) of great wine, just to make sure your newly acquired knowledge would be well anchored. As a side note, this seminar took place a while back (in March of 2013), but the experience was so good, it is still worth sharing. Rioja wines are typically made out of grapes harvested from the different vineyards in the region. There are also single-vineyard Rioja wines, which are called Pago. Rioja Contino is an example of single vineyard Rioja. Production of all wines in Rioja is controlled by Consejo Regulador (Control Board), an organization founded in 1926. Consejo Regulador also sets vintage ratings for different years. You can find all vintage ratings (starting from 1926!) here. 2010 and 2011 vintages have “excellente” rating – Crianzas should be good already! Bodegas Muga, CVNE, Lopez de Heredia and La Rioja Alta wineries (some of the very best Rioja producers) are all located at four corners the train station in Haro – the location was chosen for the purposes of easy shipping of wines to UK. La Rioja Alta 890 line commemorates the 1890 when the winery was created. 904 commemorates 1904 when Ardanza winery was acquired and became a part of La Rioja Alta. The winery decided to call their wines this way (using 890 instead of 1890 and 904 instead of 1904) so consumers would not confuse commemoration dates with the dates of production. CVNE was founded by 1879 by two brothers, and it produces Rioja in two distinct styles under two different labels – CVNE and Vina Real. All the fruit for Vina Real comes from Rioja Alavesa region, and all the fruit in CVNE wines comes from Rioja Alta. CVNE Imperial label was started specifically for the UK market, and it was called like that because it was created during the UK’s “Imperial Century”. Now, let me present to you the wines with my notes. All the wines are included in the order we tasted them. Yes, I know, my tasting notes are rather short and mostly describe the wines through emotions. However, I think you can see the progression in the flavor profile from the bright fruit to the more earthy, spicy, delicate notes. The common trait among these 9 wines? Elegance. Elegance and balance, to be precise. These are the wines you crave, as you know they will bring you lots of pleasure every time you will open them. Andrew told us a story from his personal experience with the old Rioja wine. 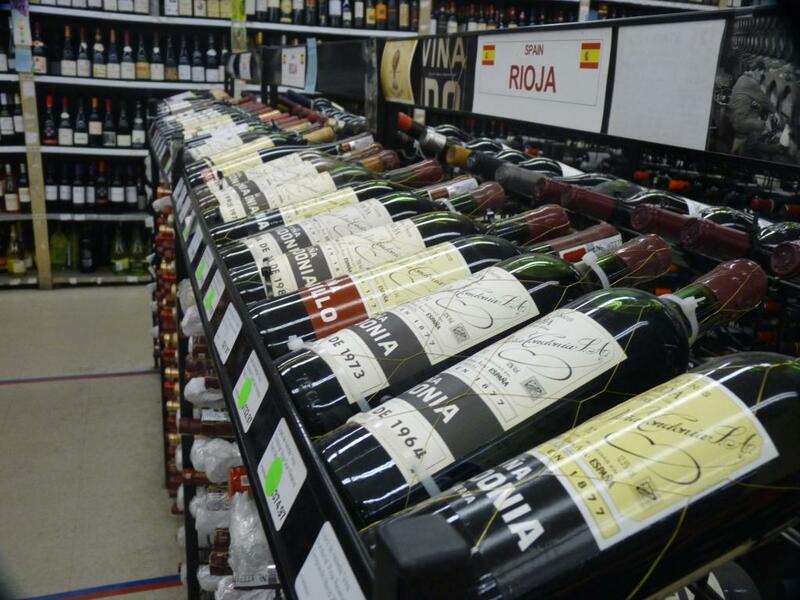 He ordered bottle of 1917 Rioja for the customer, and the customer … refused to take it later on. So the bottle was shared at the table in the restaurant, without much expectations, among the group of young wine professionals. On the very first sip, the table got quiet. And it stayed quiet for the next 5 minutes, as everybody just wanted to reflect on that special moment. I wish you great wine experiences, my friends. Cheers! 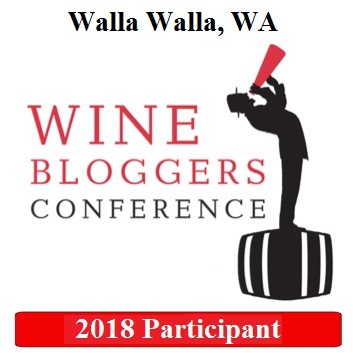 here is something which might help you decide – you can save $10 of the ticket price if you will use discount code Talk-A-Vino, courtesy of PJ Wine (they happened to like my post and kindly offered a discount to Talk-A-Vino readers). If you are ready to buy your tickets, you can click here. If you are a wine lover who likes to experience amazing wines when possible – please keep reading, otherwise you can definitely skip this post. 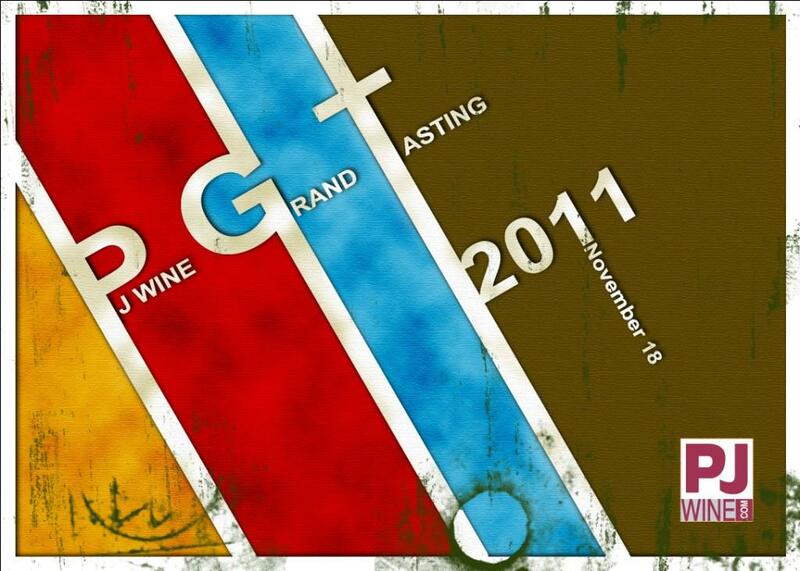 But if you are in love with your wine, there is one single wine tasting event this year which you can’t afford to miss – this event is PJ Wine Grand Tasting 2011, taking place on November 18th at Metropolitan Pavilion in New York City. Why? I will give you three reasons. 1. Unique and Unforgettable Experience. I attended PJ Wine Grand Tasting in 2009, and I still remember the taste of 2000 Château Léoville-las-Cases, 1999 Vega Sicilia “Unico”, 2000 Chateau Margaux, 1996 Krug among many many other equally noble wines. During Grand Tasting 2011, you will have an opportunity to taste Dom Perignon, Cristal, Krug, 2006 Cheval Blanc, 2000 Chateau d’Yquem, 1990 Mouton-Rothschild, 1985 Chateau Haut-Brion, 1952 CVNE Vina Real Gran Reserva and many more incredible wines – all in one evening. Can you tell me where else you will be able to experience any of those wines, forget even going through such a gem collection in one evening? VIP admission at the Grand Tasting costs $159 (and I highly recommend VIP admission versus regular one, as all of great wines will not be in unlimited supply – you want to be there early). If you think this is a lot of money, let’s do some simple math. Assuming you will be able to find all the wines mentioned above (which is a challenge on its own), let’s see how much it will cost you to buy them (using wine-searcher, of course): 2006 Cheval Blanc – $700+, 2000 d’Yquem – $300+, 1990 Mouton-Rothschild – $400+, 1985 Haut-Brion – $450+, 1952 CVNE Vina Real Gran Reserva – $400. All together we are talking about $2,250+ just for these five wines. There will be hundreds of other wines deserving attention in this tasting, plus there will be great food. If this doesn’t represent value, I don’t know what does. 3. Plain and simple – you will have a great time! There will be great wine, there will be great food, there will be great people, willing and able answer any of your wine questions. If you are thinking about going to the restaurant Friday night – equivalent experience at a restaurant in New York will cost you ten-fold – without any guarantees. If you want to experience wines you will remember for the rest of your life, PJ Wine Grand Tasting is not an event to miss. To make your consciousness happy in addition to your palate, I have to mention that portion of what you pay will be going towards The Action Against Hunger. If you are ready to get your tickets, here is the link for you to click. Disclaimer (in case we need one): Just to make everything clear – this is not a paid advertisement of any sort, and I’m not compensated in any way for writing this post. As usual, I only write about the things I believe in, and I truly believe that you will have an amazing experience if you will attend PJ Wine Grand Tasting 2011. Cheers! As you know by now, PJ Wine is one of my favorite wine stores (you can find some of my impressions here). 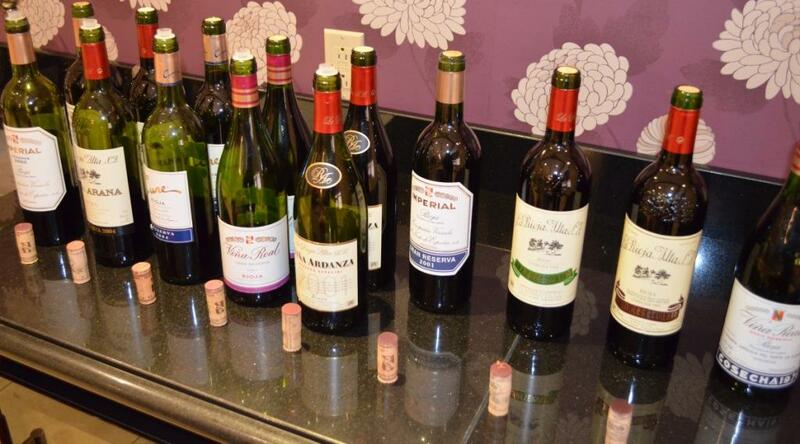 It is not just due to the great selection of wines, with Rioja being a superstar. It is also based on the fact that PJ Wine is a great source of education and experience (double-winner – education is free most of the time). Store runs great seminar program, where (if you are fast enough to get on the list) you can experience many great wines of the world. Few weeks ago, I was lucky enough to be able to get into the seminar about wines of Sierra Cantabria and Teso La Monja (the event was sold out in a matter of hours). Both Sierra Cantabria and Teso La Monja wines are produced by Eguren family (you can find complete information here), and of course you already figured out that both are produced in Spain. 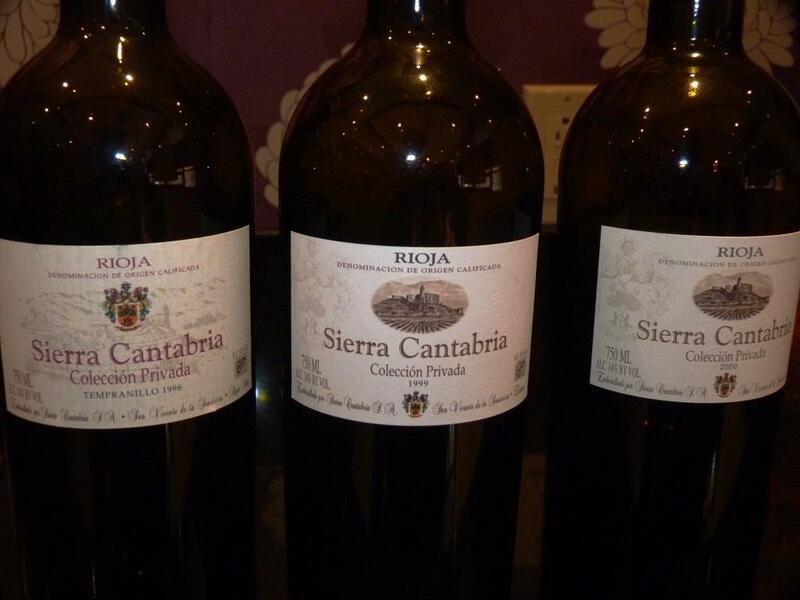 Sierra Cantabria wines come from Rioja. In addition to producing full line up of traditional Rioja wines ( Crianza/Reserva/Gran Reserva), of course made out of Tempranillo ( for more information about Rioja wines you can click here), Sierra Cantabria also produced the series called Collection Privada, with each wine being made only in exceptional years. Currently, it includes wines made in 1996 ( first ever vintage for Sierra Cantabria), 1999 and 2000. Tasting the Collection Privada wines, the first one from 1996 was very nice, with good bouquet of spices, acidic and bright. There were only 300 cases produced in 1996, so this wine is not easy to find. While 1996 was drinking well already, both 1999 and 2000 were simply not ready and needed more time in the cellar. These wines are produced from 55-60 years old vines, and made with the focus on quality, not quantity. Second group of wines presented at the seminar were also made by the same Eguren family, but come from another region in Spain called Toro. Teso la Monja is the latest project for the winemaker Marcos Eguren. Toro wines are made out of the grape called Tinta de Toro. If you would look in Wikipedia, you would see that Toro is designated as another name for Tempranillo. In reality, it is actually a clone of the Tempranillo grape, which has it’s own characteristics and is different from Tempranillo itself – same as famous Brunello, made out of Sangiovese Grosso grapes, tastes totally different from regular Sangiovese-based wines, Chianti. Three wines from Teso la Monja had being represented in the tasting. First was 2007 Teso La Monja Almirez Toro – the wine had nice balance and lots of dark fruit – blackberries, black currant and spicy oak. Next wine was 2007 Teso la Monja Victorino Toro – beautiful, round with plums and blackberries, showing nice minerality. This wine is produced from 65+ year old vines and aged for about 18 month in oak. Last but not least in the tasting was 2007 Teso la Monja Alabaster Toro. This wine was simply outstanding. Very dense, very big , with lots of fruit and in the need of time. Just to give you an example of care which goes into the making of this wine – the grapes are de-stemmed by hand, and then pressed with the feet. This wine definitely needs time before it will show off in its true beauty. The only challenge with this wine is related to the fact that at $156, it is not a bargain, and essentially QPR is becoming more of an issue, at least for me. 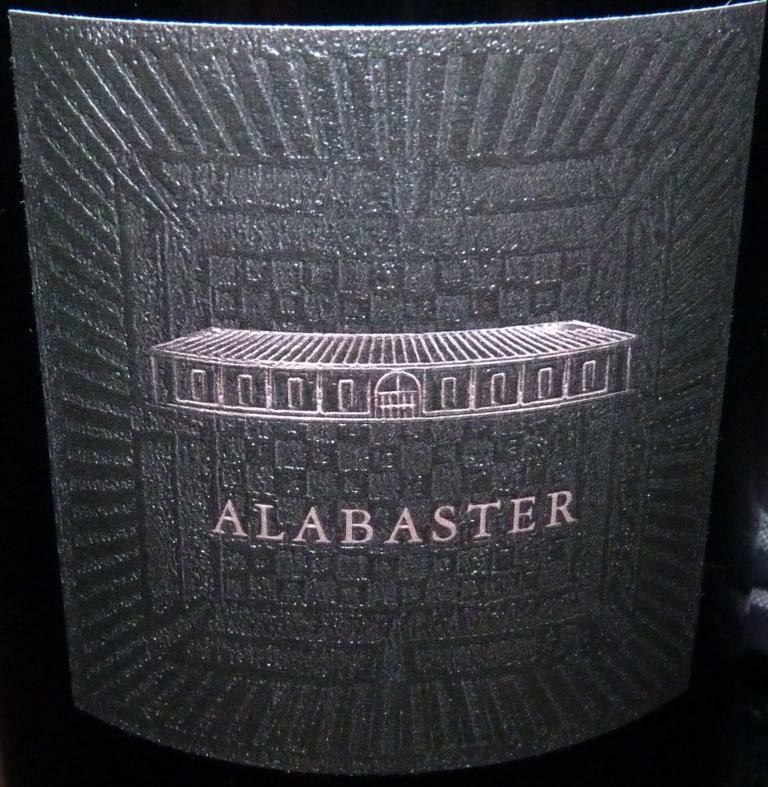 Of course, if we will compare Alabaster with El Nido or Vega Sicilia wines, QPR might be on par – nevertheless, I think some time is needed before Alabaster has enough recognition to demand such a price. All in all, it was a great experience with 6 exciting wines and lots of information – and I can’t thank folks from PJ Wine enough for continuing bringing great events to the wine lovers. And while on the subject of great experience, I can’t help to note that PJ Wine is organizing Spanish Wine Festival, which will take place on Friday, June 17th at 6 PM in Metropolitan Pavilion, 123 West 18th Street in New York City (please click here for more information). This event is not free, but for $99.99 I think it constitutes a great value – you will be able to experience wines of Vega Sicilia (keep in mind that typical bottle of Vega Sicilia costs in excess of $400, plus, it is very difficult to find), El Nido, La Rioja Alta, Clos Mogador and hundreds of others. The Festival will also include food from many good places in New York. I believe Spanish Wine Festival is a great value and shouldn’t be missed. And as this was the post about Spanish wines, I think we need to finish it appropriately: Salud! Buying wine is one of the great pleasures for the wine lover. Of course it is very easy and convenient to buy wine online, as in a lot of cases it also means that you will be able to find good values. However, for the true wine lover ( and if you want to substitute the term with wine geek, be it), being able to unhurriedly browse through the wine store (needless to say – good wine store) is a source of great pleasure. Seeing familiar labels is almost like seeing the old friends – “oh yes, I know you, it is great to see you again”. When you see the wine you don’t know, it is moment of discovery – “hmmm, I wonder how that should taste like?”, “aha, I think it was a good vintage”, “oh, I wonder if this is a good price”. Then it goes to “now, I must try this!”, or “ahh, one day I will definitely have to try this”… There is a lot of anticipation associated with that slow walk along the shelves, and a lot of pleasant expectations. I already wrote about my favorite wine stores, both “brick and mortar” and online (you can find this post here), and I wrote a post about my most favorite local “go to” store Cost Less Wine and Liquors in Stamford, CT (the post is here). Now, I want to talk about another wine store which I really like – PJ Wine in New York. The store has both great physical location on upper Broadway, as well as very extensive web site at www.pjwine.com. What do I like so much about PJ Wine? First of all, the store doing a lot to educate people about the wines. PJ Wine hosts great seminars (most of them are free), where people learn and get to try excellent wines, expanding their wine knowledge and taste. In addition to the seminars you can also subscribe to the mailing lists, and receive very extensive wine notes, with a lot of information about wines which is hard to find anywhere else, including winery websites. And then in addition to all the education and information – surprise – the wine store has great selection of … wines! (don’t know what you expected to see here). When it comes to Rioja, anything you are looking for – PJ Wine got it, and they got it right there, on the shelf where you can see and touch. 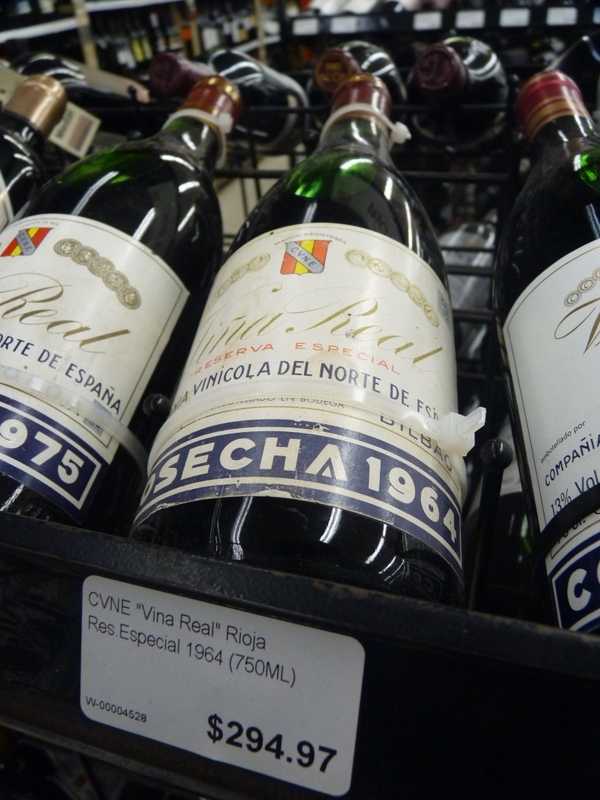 Where else can you find 1964 Rioja simply waiting for you? Don’t worry, it is not only Rioja – there are plenty of great wines on the shelves from all over world – hard to find wines from France, incredible selection of Jerez and Madeira, unique Italian wine and many many others. Last but not least – you can always get good advice, and all the staff actually knows all their wines – not theoretically, but actually tried them and will be able to describe the wines to you in great detail. I’m sure many of you can attest to the fact that you missed such service more than once in your wine shopping adventures. 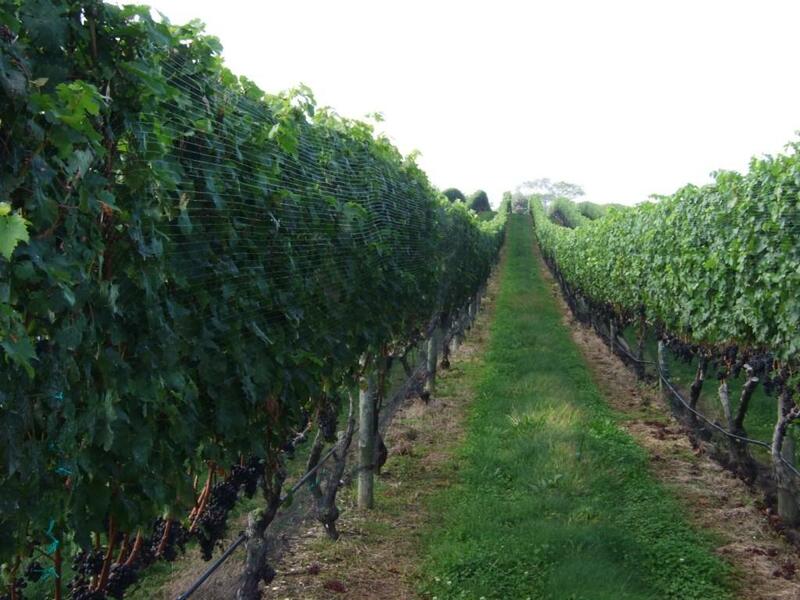 If you like wine and plan to be in New York – PJ Wine is definitely a worthy destination, you will be pleased with what you can find (of course you can get the wines from their web site – but it is a different experience). PJ Wine delivers unique experiences, from wines themselves to the great learning opportunities, and this is experience is yours to take. Happy wine shopping experience! I had being contemplating this post for a while, and [finally] here it is. I’m not getting the wines for free, and they are not growing in my backyard. Same as most everybody else, I’m buying my wines. So what’s a big deal about it? 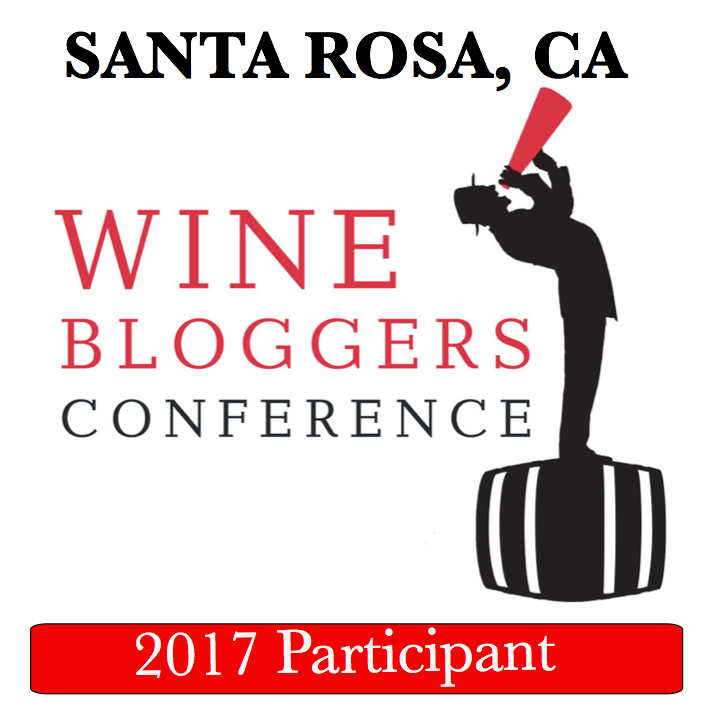 Why does buying the wine worth a blog post? Buying wine is somewhat of an art. Huh=, you say, what kind of nonsense is that? But the challenge is that on one side, there is an oversupply of wine, so trick is to find place with the right service and right prices (!). At the same time, there are way too many wines which are often referred to as “cult”, which are literally impossible to find – and may be information in this blog post might be able to help you. As you know by now, I’m obsessed with wine – and it translates into finding good wines at good prices (this is often referred to as QPR – Quality Price Ratio). Here are the ways I found so far to satisfy that QPR requirement. Wine Searcher – When I’m looking for specific wine ( or any type of alcohol for that matter), I always start from Wine -searcher. I always get full information on the price range and availability of options to acquire that specific wine. 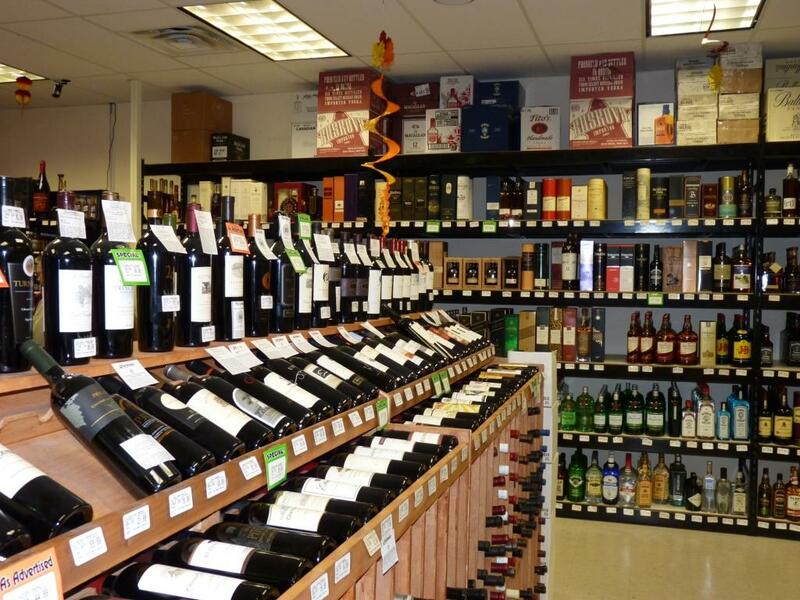 Cost Less Wines and Liquors – local store in Stamford, CT. In the interest of full disclosure, store owner, Zak, is my friend. But this is not the reason for me to mention the store. There is an amazing wine selection in the store (I would think that in terms of using the space, this is the best store I even saw in ability to utilize every square inch of the store space. There is great representation of all wine making regions, and his selection of Kosher wines and Champagnes is literally best in Stamford. Plus, Zak has a talent to find the close-outs and makes very quick decisions when he can seize a good value. Also, if you are looking for a specific wine, Zak will get it for you (as long as it is available in Connecticut). All in all, this store is my primary wine shopping destination. Bottle King – chain of the wine stores in New Jersey. Each store might have slightly different inventory, so I can’t speak for all of them. I’m personally using the one in Glen Rock, NJ. Overall, wine prices are very good. This store has excellent selection of Portuguese wines (great QPR! ), plus good selection of French, Italian and Californian wines. Australia, Chile and Argentina have limited representation. Bottle King has loyalty card, which gives discount on many wines, plus periodically they run very good special sales – Red Tag Sale is in effect now (until April 4th, 2011), and some of the values are simply incredible. Need an example? 2000 Vintage Port for $27.70? Wow! Bottle King also have a division which sells wine online, called The Wine Buyer @Bottle King – I get their newsletter, however, never ordered anything. PJ Wine – excellent store in New York. If you are looking for a Spanish wine – this is the right store. Probably the best selection of current and old releases of Rioja and Ribera Del Duero in the tri-state area. Also very good selection of rare and hard to find European wines from France, Italy and Austria. Very good service. Full store inventory is available online. Plus, there are excellent [free] educational seminars in the store ( hard to get in as seating is limited). WTSO.com (Wine Till Sold Out) – great place to look for the bargains. I already wrote about WTSO in one of the previous posts. It works in a very simple way. You get on the mailing list. Then you get e-mail once the new wine is available for sale, at an incredible price – often, not always, of course. You can always check if offer makes sense by going to the Wine-Searcher and then also consulting Wine Spectator or another ratings database. Please be aware of the fact that while you are trying to figure out if particular offer makes sense, the wine might be gone by the time you reach the conclusion. Definitely great place to buy wines at a great price. Just sign up for the mailing list and see for yourself. Benchmark Wine Company – to give you a short description – amazing. Outstanding customer service (really – try it). Wine selection? Incredible. Yes, this is not for everyday shopping, but if you look for a particular wine, especially from the older vintages – this is the place. Give it a try and you will not regret. Wades Wines – might be one of the best secrets in the wine shopping. US regions have great representation, with lots of cult wines being available (at least on the list – but sold out in reality). I have to admit that I hadn’t bought anything yet from this company, but all the e-mails look very tempting. D&M – another incredible store. Specialty? Scotch, cognac, champagne. The store is located in San Francisco, and it is literally hole in the wall. But once you look around in the store to see the selections surrounding you on all four walls, you get absolutely amazed. Incredible selection of scotch and cognac. Plus, there is a number of clubs offered, and actually these clubs make sense (compare to most of the wine clubs, which don’t worth a penny). If you are in San Francisco, and you like scotch or cognac, definitely find time to visit the store. Of course there are many other places to buy wine – I had great experience with Yankee Spirits store in Sturbridge, MA, Beltramo’s in Menlo Park, California (outstanding service), K&L Wines (good selection, service – so so) in multiple locations in California. I had an interesting experience with Drink the grapes (online only). This post happened to be much longer than I thought it should be. Nevertheless, I did my best to share the ways I go around to find the wine I want. If you got your favorite store or a web site to buy the wine – let me know, as I will be glad to learn about it. And until the next time – happy shopping! Champagne! Of course, Champagne. No celebration is complete without the toast of “bubbly” – New Year’s arrival, wedding anniversary, winning of the Grand Prix, christening of a new ship, and many other occasions, big and small are acknowledged with Champagne. Champagne is a very interesting subject in general, but even more so when New Year’s arrival is around the corner. You can find articles and blog posts about Champagne everywhere – here is a good example, post by Dr. Vino. Well, let’s join the conversation about Champagne. Champagne is a wine which belongs to the group of so called “sparkling wines” – the wines with many tiny bubbles (there are at least 49 million bubbles in a bottle of champagne – feel free to count yourself if you don’t believe it). 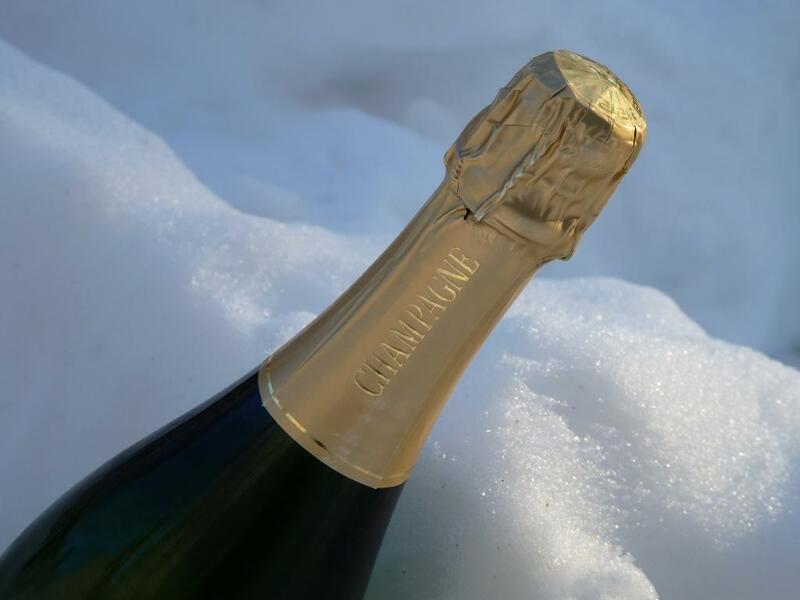 As many other things in life, discovery of Champagne is a combination of accident and luck – on a very primitive level, not fully fermented bottle of wine was frozen, then temperature rose, fermentation restarted (this time, in a bottle) – voila, you got a bottle of Champagne. Well, small clarification will be appropriate – Champagne is both a wine and a place – in France, of course, where else. Are Champagne and Sparkling wine synonyms? No. Any Champagne is Sparkling wine, but not any sparkling wine is Champagne. Only sparkling wines produced in Champagne region in France using so called méthode champenoise can be called Champagne. All other sparkling wines produced outside of the Champagne region, even using the same method, can only be called Sparkling Wine. Blanquette de Limoux – comes from Limoux in Languedoc, France with the claim of being the first Sparkling Wine, before Champagne became Champagne. Champagne is endless subject – no way to cover it in the short blog post. Let’s stop our world tour right here, and let’s talk about the celebration “at hands” – New Year 2011. What bottle are you going to open to celebrate arrival of the New Year? How about a little dream? Again, you said? True, just a few days ago I wrote a post about the wines to dream of. Something was missing in that post, I think – and that “something” is … Champagne! There was no Champagne mentioned in that list. So we need to fix it. 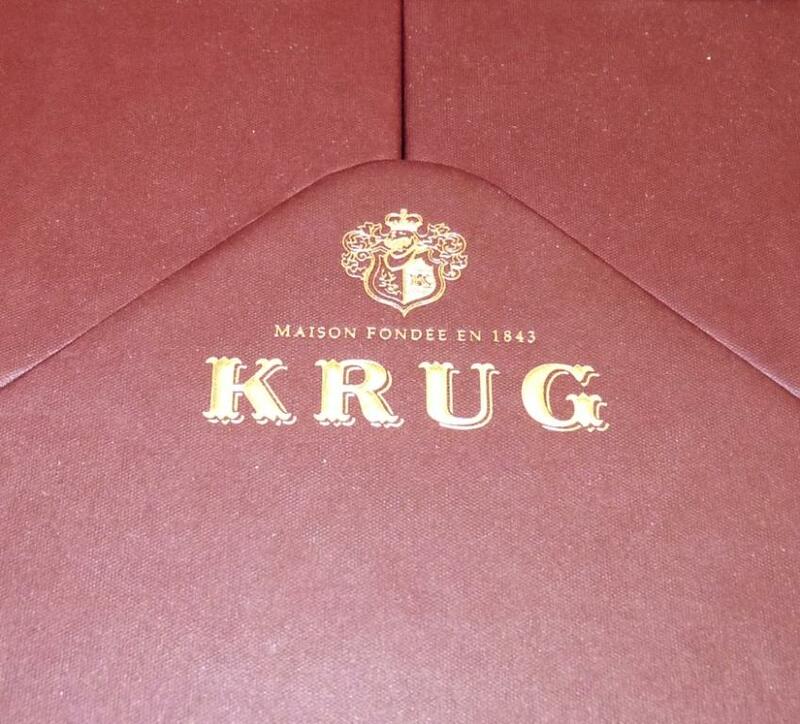 And if you need a Champagne to dream of, I have only one recommendation – Krug. If you wonder why I so focused on one and only one Champagne, I can tell you – I had a chance to try it, and I was blown away. At the PJ Wine Grand Tasting event in November 2009, Krug 1996 was served among others, no doubt excellent Champagnes (Veuve Clicquot Rose, Dom Perignon 2000, …). I made a mistake – pretty much fatal, as it appeared – to start tasting from the Krug 1996. I had vintage champagnes before, and never really appreciated them. Krug 1996 was something else – with richness of freshly baked bread, nutty and creamy, fine-tuned refreshing acidity, ultimately balanced – it was incredible. All the Champagnes in that tasting, with pedigree or not, literally tasted like water next to Krug 1996. Yes, this wine is expensive (about $300+, you can check the price here), but it worth every penny – and worth dreaming about. And if you need to expand your Champagne dream list, you can find a lot more recommendations here. There are few days left before we will toast new hopes, new dreams, new desires with the New Year 2011. No matter what will be in your glass, I wish for your wildest dreams to become reality. Raise your glass To Life, and keep dreaming! So far I had being talking about wine and food in this blog. As this blog’s short description puts it, it is about “Wine, food and life”. Of course food and wine are definitely part of our daily lives, so the blog’s promise on “life” is fulfilled, more or less by itself. 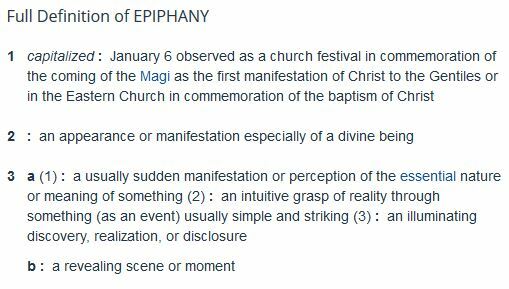 However, after I read a very interesting article sent to me by Kfir Pravda, it really stroke the chord, so here comes the blog post. A life prospective through the glass, if you will. The article is called “If Money Doesn’t Make You Happy Then You Probably Aren’t Spending It Right” (I really encourage everyone reading this blog to read the article – it definitely worth it). Money? Don’t worry – this blog is not changing into a financial publication. I don’t plan to give any financial advice, and I don’t know where the money tree is growing (if you know – can you please, please share with the rest of us?). The article itself is not talking about money or finances, it rather talks about happiness, and then looks at money as one of the popular means of achieving it (or not). Still don’t see a connection, with wine or with life? Just continue reading, please. One of the first points of the article is “Buy experiences instead of things”. There is a great explanation on why it makes a lot of sense from point of view of achieving “happy” state and keeping it for longer. That concerns pretty much anything in life (two weeks trip through French country side will probably keep you happy much longer than having one tiny original French painting on your wall). Now, I hope you expect me to connect this to the wine. Quick question – can you experience Chateaux Margaux 2000 ($1000/bottle, try to find it), Vega Sicilia Unico 1968 ( about $1200/bottle, again good luck finding it), Krug Vintage 1996 ($300+, same good luck wish applies) and about hundred other wines, all without emptying your 401K ( like it’s not empty already)? If you said “yes”, you are correct. PJ Wine Grand Tasting in New York in the Fall of 2009 had all of those ( and many more) wines available for all the wine lovers. Ticket price – $144 per person. Paraphrasing MasterCard commercials, having long-lasting memory of tasting freshly made bread in the Krug or tremendous luscious layers of complexity in Chateaux Margaux – priceless. Yes, it is great to have that special bottle of wine in your own cellar. Considering realities of life and cost of college education ( sorry, personal pain point), it is not easy to have all the wines you want in the cellar – however, you can always find a solution. Going after experience can bring a lot more long-lasting happiness, especially comparing with owning THAT bottle of wine and having regrets about money spent as the main feeling every time you think about it. Or at least that what I think – and I would love to hear your opinion. Another key point of the article, “Buy many small pleasures instead of few big ones” also can be perfectly illustrated in the wine world. What would you rather have in your cellar? One bottle of Joseph Phelps Insignia 2006 at about $160 to $200, or 4-5 bottles of Ladera Cabernet Sauvignon Napa Valley 2006 at about $40? I chose the pair for the simple reason – tasted both a week ago, and with all due respect to Insignia, having more bottles of Ladera Cabernet will provide for quite a bit more happy occasions. But when it comes to wine, this is definitely a very important point – there is a lot of choices, and you can use your money wisely and “stretch the happiness” quite a bit simply by finding the right value wines which will bring you a lot of pleasure and happy memories. Last point from the article I want to touch on is stated as “Pay now and consume later”. The point is simple. When you own things which you can enjoy later, you get a lot of happy feelings all the way until you actually get to use whatever it is. Who can attest to this better than wine lover, whether you own a cellar or keep your wines in the closet? I’m not talking about collectible wines here, this is a category in its own. I’m talking about putting your wines aside and waiting for them to improve, or waiting for just the right moment to drink them. Just a thought about having particular wine in the future gives you a lot of pleasure, isn’t it? This is all which we are trying to achieve – to be in the happy state for longer, and I would say that wine lovers are the ultimate group which has almost an unfair advantage here – we can wait and be happy about it at the same time. I’m not sure that buying the new car and waiting for 3-4 years to drive it will put someone in the happy state of mind – but buying the few bottles of wine and giving it time to evolve is definitely great and pleasant experience. As a conclusion, again, I would definitely encourage everyone to read the article – it really provides great analysis of our “state of happiness” and suggests a few tricks for achieving it. And while you will be reading this article, have a glass of wine – and experience happiness at the fullest. Cheers!